Born near Italy’s picturesque Lake Como, Maurizio Severgnini is the sommelier at Spiga, Enrico Bartolini’s new restaurant in Central Hong Kong. Having worked his way through WSET in London, Severgnini studied CMS in Australia and has also worked as a cellar hand in wineries around the world over five harvests. He speaks to dbHK about his first love of an Umani Ronchi Cabernet and his weakness for bubbles and sweet wines. I was born in 1980. I won’t lie, it’s not a good vintage for wines but I would like to think something good still came out of it! 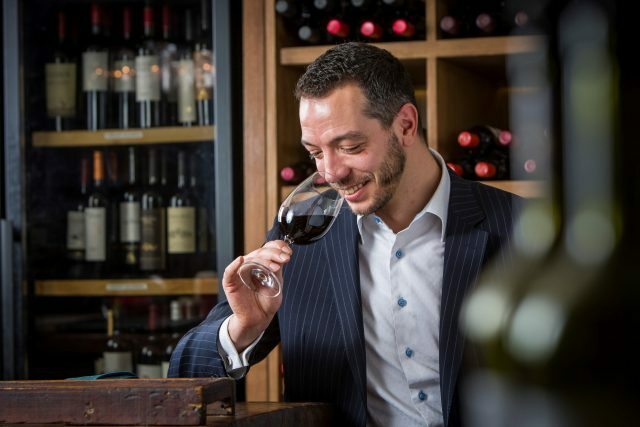 When I first started as a junior sommelier in London, my favourite wine was called ‘Pelago’, A Cabernet-based wine from the Marche region in Italy made by Umani Ronchi. I sold lots of it! A complex red, sometimes challenging at first but very rewarding with time. Whenever I share the knowledge I have on wines with people who are happy to learn. Bubbles and sweet wines…there’s something magical about them. Funnily enough, at the time he was very unorganized and would not share much information unless I bombarded him with questions! I already lost my private cellar once due to flooding at my house…I learned not to get too attached to materialistic things; beside, there is always more wines to discover and enjoy. The wine industry is very fascinating as it keeps on evolving. Too bad it is still full of people who tend to show off. It is only wine after all; it is meant to be enjoyed! I am pretty satisfied with my experience so far. I would like to visit few more wine regions around the world. Family, friends and a few former colleagues whom I have lost touch with over the years. There are lots of great characters out there! Personal satisfaction (Parker points – out of 100)? My personal happiness and satisfaction have been pretty consistent over the last few years…90+ on average with a few spikes. I shall leave this decision to others, as I will not be there to enjoy it.